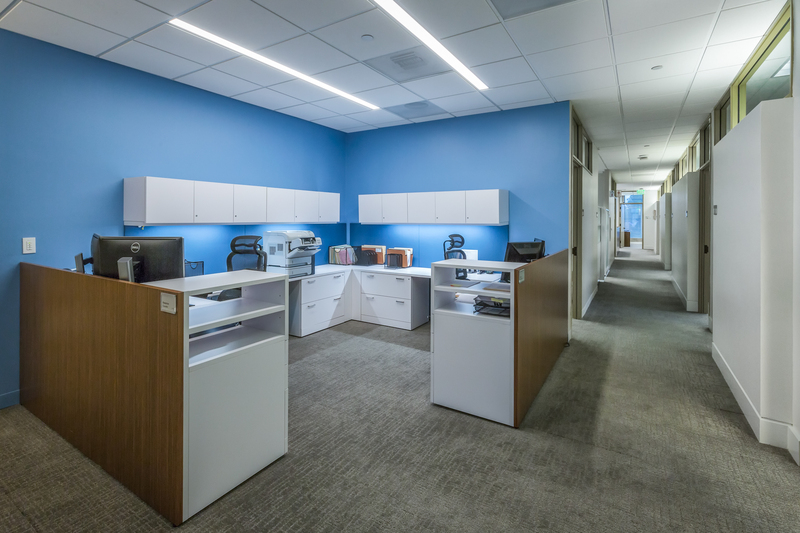 As demand for its legal services increased, it was clear that the law firm of Haynes and Boone, LLP, would have to build out its space at 525 University Avenue in Palo Alto. The space was to expand significantly, but the firm didn’t want the new space to look tacked-on; it had to meld smoothly with the existing office area to look like it had all been built at the same time. The Haynes and Boone expansion meant new offices and support spaces, as well as conference rooms, break rooms and copy rooms. In addition, both restrooms would be upgraded to bring them into ADA compliance. Complicating matters was the fact that construction would be taking place on the fourth floor of a high-rise building -- while the site was fully occupied. The expansion was designed by New York’s Gensler Architecture, Design & Planning, P.C.